After School Rocks - a multidisciplinary performance investigating the border between the concert experience and the art exhibition, with additional elements borrowed from immersive theater. Artist By Any Other Name Fiscally Sponsored by Fractured Atlas - "The Travelers," a production that combines contemporary dance, live music, and video to share the experience of the unwitting traveler within the everyman. Astoria Big Band - A concert featuring works composed by women, from Billie Holiday to Bernice Petkere, from Peggy Lee to band guitarist Amanda Monaco, and more. A small dance troupe accompanies the concert. Bayside Glee Club - Spring & Winter Concerts that are open to the public and tickets are sold as well as charitable concerts performed for free at nursing homes, senior centers, hospitals and public organizations. Bix Beiderbecke Sunnyside Memorial Committee Fiscally Sponsored by Sunnyside Chamber of Commerce - Live public performance of the music of jazz legend Bix Beiderbecke in the Queens neighborhood where he died at the young age of 28 in 1931. Cecile Chong fiscally sponsored by Fractured Atlas - An art installation paying tribute to the 49% of NYC households that speak a language other than English. Presented as a contemporary archaeological site. Fostering ideas of immigration and community. Convergence Arts Inc. - A four-concert series presented by Lioness, a collective of female jazz instrumentalists/composers/bandleaders. creaARTive NYC dba KINEMATIK Dance Theater Fiscally Sponsored by NYFA - A free annual two-day summer outdoor dance festival & community workshops that take place at four LIC waterfront parks. CreArtBox Fiscally Sponsored by Fractured Atlas - A three-day outdoor classical music festival set to launch at Gantry Plaza, featuring local and international ensembles and performers. Presented by CreArtBox, free and open to the public. Dhaka Drama Fiscally Sponsored by DRUM: Desis Rising Up & Moving - A theater production presenting the untold struggles of undocumented immigrants who are agonizingly trying to find a country that they can call their own. Douglaston and Little Neck Historical Society - Neighborhood Architecture Day where children will learn about architectural design and create their own buildings based on what they learned. Douglaston Local Development Corporation - A series of free, outdoor concerts on weekday evenings in Douglaston Station Plaza. Eclipses Group Theater New York - A new production combining elements of Euripides' plays Hercules and Alcestis, with their contrasting views of the quintessential Greek hero Hercules, that explores the meaning of heroism in our times. Jackson Heights Beautification Group - Performance series coordinated by a committee of the Jackson Heights Beautification Group. LIC Reading Series Fiscally Sponsored by The AJ Project - On the second Tuesday of every month except August, three authors read from their work and take part in a panel discussion at a free event hosted and curated by Catherine LaSota. MiolinaNYC INC - A live violin-duo concert interspersed with interview videos of all NYC-resident composers featured in the program. Each composer is either an immigrant, or comes from an immigrant family. National Alliance of Native Americans Longhouse, Inc. - Series of 1 to 2 hour Native American cultural presentations including music, dance, film/video, literature, history, language and folk arts. Newtown Literary Alliance - Publication of semiannual literary journal that showcase the work of writers and poets living in and from Queens. Onipa Abusia Inc - The Odwira Concert and Master Classes are a celebration of unity, harmony and peace. The music, songs, and dances will demonstrate the advantage of open dialog and communication among diverse people. Popebama Fiscally Sponsored by thingNY - An evening of works written and performed by Queens-based composer-performers Erin Rogers and Dennis Sullivan, with performances from the Brandon Lopez Trio. Prototype Music Fiscally Sponsored by Project Hope - A multi-discipline festival performed by young people from local music, art and dance programs as well as local professional artists. Queens World Film Festival - Queens based, annual multi day, multi-venue international event, with a thriving young filmmakers program, free films for senior citizens and free encore screenings throughout the year. Royal Star Theatre Fiscally Sponsored by Church of the Immaculate Conception - The King and I is a musical drama by composers Rodgers and Hammerstein based on the book Anna and the King of Siam. Sangeet Parishad Inc. - The purpose of this program is to celebrate the richness of Bengali Culture with the South Asian community of Queens in honor of Pandit Ramkanai Das, a classical and folk music legend of Bangladesh. Slightly Altered States Fiscally Sponsored by Fractured Atlas - Non verbal, 11 year old trauma survivor, Tye, finds a lifeline in the dark tale of Rumpelstiltskin, where another girl is trapped and powerless, and learns to control her own story and save herself. Southeast Queens Artists Alliance Fiscally Sponsored by Forgotten Children of Haiti - The (C)Art Festival is an outdoor event held in downtown Jamaica where the public will experience a series of mobile, interactive, public art projects by local artists. STAR - Senior Theater Acting Repertory - STAR is a group of seniors who have been bringing drama, comedy and song to audiences in Queens for over 22 years primarily to people who would not otherwise experience live theatrical performances. Sunnyside Shines Business Improvement District - Free live music and dance performances in Sunnyside's public plazas showcasing the cultural vibrancy of our neighborhood in the spring thru the fall. Superchief Arts Club Fiscally Sponsored by Fractured Atlas - An outdoors mural project that engages Ridgewood homeowner neighbors who have given us permission to have notable street artists create vibrant murals on their property. Teen Art Salon Fiscally Sponsored by Fractured Atlas - The free open studio program for teens is an interdisciplinary art space for participants to experiment, create, and exhibit self-determined projects amongst their peers and the greater public. The Astoria Choir - Two choral performances - John Corigliano: Fern Hill; and a world premiere commission on May 19, 2018. The Blue Bus Project Fiscally Sponsored by Fractured Atlas - Four day-long interdisciplinary art based workshops for the children and women of Hour Children and the members of its community. The Dream Unfinished Fiscally Sponsored by Black Women's Blueprint - The U.S. premiere of Huang Ruo's "The Sonic Great Wall," a musical rendering of the Great Wall of China. Part of The Dream Unfinished's Sanctuary season, responding to the current immigration crisis. The Groovy Projects NYC LLC Fiscally Sponsored by Artists Striving to End Poverty - a multimedia/youtube curriculum to the community center for the group leaders to disseminate, as well as create a song and socially conscious music video. The Secret Theatre Fiscally Sponsored by Fractured Atlas - Productions performed throughout the year at The Secret Theater including: Dr Faustus; The Tempest; Waiting for Godot; Mamma Mia; 3 original work festivals; as well as Pirate Pete and Princess Particular. Titan Theatre Company - Shakespeare on Demand is an education/outreach program designed to provide free high quality Shakespeare performances for students throughout the borough. Woodside on the Move Inc - "Worldwide Woodside 2018" is a day long outdoors arts, culture and food festival to take place on 61st street and Woodside Ave.
Abeer Y. Hoque - Creation of a book of photo-poems in which the poems are inspired by and paired with photographs from artist's collection, and present a multi-media reading and presentation of the book. Amy E. Witting - An original theater work set in Levi's Impressions, a Sunnyside salon where the local clients worry about what will happen to the home they take so much pride in as their neighborhood faces many changes. Anthony Olubunmi Akinbola - "Flavors" is a 20 x 30 foot tapestry composed of multi-colored, Du Rags sourced from local shops and members of the community, referencing black hair culture and its history. Arun Luthra - World premiere presentation of a jazz suite commissioned by Exploring the Metropolis & Flushing Town Hall inspired by Queens's jazz history and the many jazz greats who have called Queens home. Carla Lobmier - Shaping the Container proposes a large watercolor/graphite scroll further explored with a Jackson Heights dance collaborator to create an exhibition plus four visual/movement programs. Christopher Bogia - Creation of a suite of new sculptural "paintings" using balance and tension at the Queens Museum. Cora Jane Glasser - Design and fabrication on glass for structural elements for a new supportive housing residential building developed by Transitional Services. David Mills - A series of formal and free verse poems about both Lewis Latimer and Louis Armstrong lived the later part of the lives in Queens. David Rothenberg - A photography book project that focuses on the neighborhood of East Elmhurst, Queens and adjacent sites under the whining roar and shadows of inbound jetliners landing at LaGuardia Airport’s runway 4. Dawn McKen - The creation & composition of Yoruba Orisa music. With a performance featuring written text, visual images, and live music. Diana Bejarano - My White Dress is an installation that uses photography and audio to honor victims of domestic violence and the stories of women who raise awareness through the symbolism of a wedding dress. Elizabeth Velazquez - A large scale, mixed media installation that will take over an upper corner of a high wall and extend across the wall and down to the floor. Emily Noelle Lambert - Recycled stone from New York City buildings to create a functional totemic fountain. Displayed in my studio during Long Island City open studios and finding a home at Smiling Hogshead Ranch, LIC. Firoz Mahmud - Creation of a series of paintings on canvas and mixed media on paper that investigates legacies and myth focusing on the artist's Bengal history. George Tsz-Kwan Lam - A documentary chamber music work that tells the stories of emigrant musicians living or working in Queens, New York, written for cello, percussion, and digital playback. Gierre Godley - "Dearest Charlotte" is a dance work exploring the nature of masculinity and memory with dynamic, personal choreography by Gierre J Godley. Dancers will be joined onstage by Queens-based senior citizens. Gordon Haber - A novella-length work of fiction set in Queens during the 1977 blackout; a public reading in Queens; and the publication and dissemination of the novella. Heather Simon - Through a series of watercolors and hand-bound books, capturing history and unexpected ways people, infrastructure and shoreline intersect and impact each other on The Rockaway Peninsula. Heidi Neilson - Moon Arrow is an arrow-shaped sculpture which continually points at the moon where time-altered video documentation of the arrow on shorelines will reveal tidal and other motion alongside human activities. Jaime Iglehart - An installation and performance in which members of the audience are invited to assemble a puzzle of the earth together on the artist's belly, and to smash sculptures of important men. Jason Stefaniak - A short narrative film that tell the story Antonio who is confronted with finalizing the affairs of his estranged childhood friend Jeremy after his sudden death, as he face plants into a mess of denial and immature rage. Jen Hitchings - An immersive, participant-activated installation merging natural environs of a wooded forest with the ubiquitous urban bar bathroom, taking place inside of a garage unit in Ridgewood. Jody Wood - Experimental video exploring the profession of home care, with a public screening and panel discussion to follow. Jonathan Alexandratos - WORDS CANNOT DESCRIBE THIS is a full-length play about two Greek refugees, forced into marriage, who wind up in Astoria, Queens. Jonathan Fadner - A musical theatre piece that retells the Chinese folktale of the Monkey King (a main character in Ming Dynasty book "Journey to the West") through a modern and socially progressive perspective. Joseph Di Ponio - "Seven" is a composition for open instrumentation requiring 7 to 28 performers. It will be presented as a free public performance under the #7 train viaduct in Sunnyside, Queens. Karen Trommer - A poetry collection that uses the stops along the 7 train line in Queens as an organizing principle representing reflections of the artist life in our ever-evolving borough. Keith Bearden - A fictional documentary exploring Humankind's continuing fascination with scientific and cultural mythologies in the modern technological world. Kensaku Shinohara - An hour-long work of performance, "Good Bye" is choreographer Kensaku Shinohara's response to challenging socio-political questions formed over the last 8 years as a Japanese person living in NYC. Kerri Edge - A contemporary modern dance work and a social engagement project that aims to restore to the historical record "lost" events and the individuals whose sacrifices and bravery created those events. Laurel Snyder - A contemporary modern dance work and a social engagement project that aims to restore to the historical record "lost" events and the individuals whose sacrifices and bravery created those events. Lauren Hale Biniaris - "Hungry" is a dance and spoken word performance about our personal and global relationship with food. It explores the basic yet radical act of growing one's own food from seed and the perils of exploitative agri-business. Malini Srinivasan - Ask Hafiz is a 30-minute dance performance that tells a story of immigration from Afghanistan to Queens through the south Indian dance form Bharatanatyam, new music, and the poems of Hafiz. Maria Liebana - ¿Tres Marias Donde se Fue mi Felizidad? will include three mixed-media rainbow sculptures and two site specific murals of the sky in Local Project. Matthew Kaplowitz - Feature-length documentary about elderly Queens artist who is driven to keep creating art in spite of obscurity, poor income and serious health problems. Mia Hernandez - An autobiographical solo play about a woman searching to find a cure for her anxiety disorder. Nada Shalaby - Installation of drawings and paintings documenting the Two-World based on the creation of subjective landscapes linking a site of memory with the current place of residence. Natalie Baxter - Creation of a video to explore the language society uses to describe women today. Nicolas Savvides - 45 minute Hip Hop film and original soundtrack that captures the current narrative of Queens, its long time residents and how it's long time residents overlap with transforming communities. Olena Jennings - A book of 40 poems that sorts through the memories that have been passed down to the artists and the memories that are of their own experiences of family and place. Paromita Mumu - Based on the hundreds of Indian Classical Ragas lost over the centuries, "Morning Raga", the first of a three program series, aims to highlight a few of the lost ragas in new light. Richard Tuck Seng Chang - A mixed-genre play inspired by Victorian American celebrity speaker-journalist Wong Chin Foo (b.1847-d.1898), the Chinese-American social justice activist who has all but disappeared from history. Salvador Espinoza - A documentary photography and video project on Newcomers High School in LIC school's population made of newly arrived immigrants, is a look into the future of not just Queens but America. Sara Cooper - Mechanical is a musical theatre piece that examines our current political crisis through the lens of a girl who, in the course of running for sophomore class president, discovers that she is a robot. Sekou Branch - A film documenting the journey of 10 young dancers from Jamaica, Queens as they engage in an exchange program with young Chinese dancers at the Beijing Dance Academy. Sheree Jean Clement - A 15 minute chamber opera for soprano, six players, and audio/video recordings telling a story about water, rivers, pollution, dams, migratory fish, toxic tap water in Flint, MI, the Androscoggin River and our connection to water. Sui Park - Installation of 10 to 20 Cairns that represents our aspirations, hesitations and choices. Victor Michael Poast - Write the third chapter, Color Music Philosophy, of a book on the concept of COLOR MUSIC, which is an alternative notation system comprised of visual colors for the expression of music. Vincent Cross - To create an album length series of historically researched original songs about the infamous underground gang figure James "The Rooster" Corcoran. Wojciech Gilewicz - Production of a video that aims to rethink the role of public sculptural representations in public realm, with the use of a series of video-recorded performative actions, showcasing public sculptures in Queens & in NYC. Yahui Lu - A cross-discipline performance combining new media holographic projection and video projections with contemporary dance. Yui Kitamura - A concert series presenting new musical works including narration from Japanese children's literature. Narration will be in Japanese and translated to English. Agoci, Inc. - Beat the Drum for Haiti, a for showcase various artists and art forms in the community. 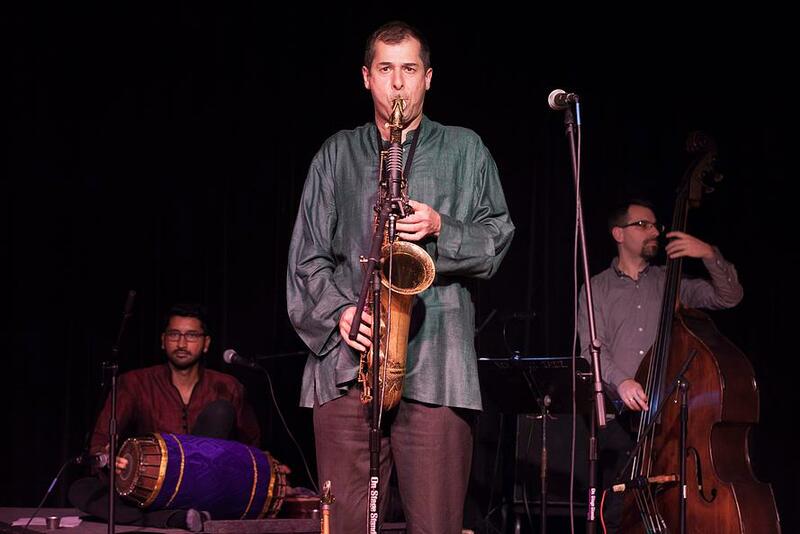 Astoria Music Society, Inc. - The Astoria Music Society, Inc. will present five concerts in three different Queens venues. Ayazamana Cultural Center, Inc. - The Ayazamana Cultural Center will present three performances of traditions music and dances from Ecuador in queens that will highlight and educate about the diversity of Ecuadorian culture. Community Youth Care Services, Inc. - A community arts program which will create a youth production combining acting, poetry, visual art, and dance. Convergence Arts, Inc. - A four-concert series presented by Lioness, a collective of female jazz instrumentalists/composers/bandleaders. creaARTive NYC dba KINEMATIK Dance Theater Fiscally Sponsored by Hunters Point Parks Conservancy - INSITU, named one of the Top 24 Outdoor Performances to see by the NYTimes, is a free annual two-day outdoor dance festival and community workshops that take place at four LIC waterfront parks during the summer. Cultural Collaborative Jamaica, Inc. - Two programs designed to develop cultural audiences and community enrichment: the Arts in the Parks childrens program and the JAMS After Dark music series. Eclipses Group Theater - A new production combining elements of Euripides' plays Hercules and Alcestis, with their contrasting views of the quintessential Greek hero Hercules, that explores the meaning of heroism in our times. Flamenco Latino, Inc. - The 2018 Mas Allá (Way Beyond) Series, will include 3 concerts and public outreach. The featured piece, "Mo' Bettah Soniquete," will combine flamenco and tap dance, with music from Black America and the Caribbean. HANAC Harmony JVL Innovative Senior Center - Workshops where older adult participants will learn dance techniques and share traditional dances from their cultures. A culminating performance will feature elements of traditional dances and be aimed at all ages. HCJ Teen Drama Group Fiscally Sponsored by Church of the Holy Child Jesus - A full-scale musical theater production featuring the talents of teens from Queens encompassing: singing, dancing, acting, set design and construction, lighting, sound and stage crew. Infopower International, Inc. - Utilizing traditional and contemporary techniques in batiks painting as the medium of focus, this pilot project aims to cultivate a model for community empowerment through the arts focused on youths. LIC Arts Open Fiscally Sponsored by Local Project - Queens' largest arts festival. A grassroots community effort to showcase artists who live and/or work in Queens. It features fine and conceptual art, film, music dance and educational programs. National Alliance of Native Americans Longhouse, Inc. - Series of Native American cultural presentations including music, dance film/video, literature, history, language and folk arts. Newtown Literary Alliance - Newtown Literary is a semiannual literary journal the publishes the work of writers living in and from Queens. Poseidon's Parade - Poseidon's Parade is a yearly public art parade that takes place on the boardwalk in Rockaway Beach, NY. The parade celebrates art across disciplines in Queens, NY. Queens Night Market LLC Fiscally Sponsored by Queens Economic Development Corporation - The Queens Night Market features 50+ musicians, bands, and cultural performances throught the Market's season. Queens World Film Festival - The Queens World Film Festival is a Queens based, annual multi-day, multi-venue event, with a thriving young filmmakers program, free films for senior citizens and free encore screenings throughout the year. Random Access Music - Random Access Music (RAM) will present our ground-breaking annual Queens New Music Festival (QNMF), presenting soloists and ensembles from around the country, selected from an open call for proposals. 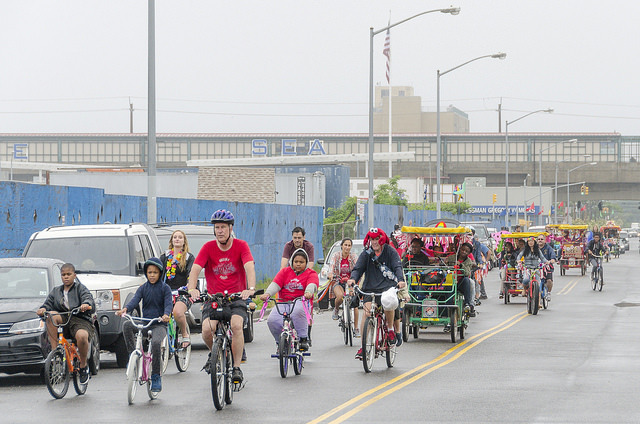 Rockaway Waterfront Alliance, Inc. - An arts bike parade in the summer 2018 that brings together 500 community members, growing social cohesion and fostering the creative use of the local public realm on the Rockaway Peninsula. Rockaway Youth Task Force - The production of Rockaway Advocate, a youth-created print and digital citizens journalism program amplifying the voices of young people of color and allowing them to take control of their portrayal in the media. Sangeet Parishad, Inc. - A music and dance festival that celebrates the richness of Bengali culture with the South Asian communities of Queens in honor of Pandit Ramkanai Das, a classical and folk music legend of Bangladesh. Sunnyside Shorts Film Festival Fiscally Sponsored by Sunnyside Reformed Church - An international film festival that screens short films by independent filmmakers based in Queens. All genres are accepted from documentaries to narratives to animation. Sutphin Boulevard District Management Association - The AirTrain Jazz Festival presents live jazz on Thursday evenings from 5 to 7 on the concourse level of the AirTrain Jamaica Station. The current season of 34 performances runs from October to May. THE ARTS @ HENSON-PARKS INC. - Creative art workshops cultivated to engage the public, using art and technology to garner youth and adult participation in cultural, environmental, and educational experiences. The Physical Plant fiscally sponsored by Hunter's Point Parks Conservancy - The Queensboro Dance Festival is an annual 6-month season of community-building events, opportunities, and performances across Queens, for Queens cultural & contemporary dance companies and the local public. Titan Productions, Inc - Every month, TITAN will present a dramatic reading of one of Shakespeare's plays until the canon is complete. Each play will be presented for free in a different branch of The Queens Public Library. Unison Center for the Performing Arts fiscally sponsored by Renaissance Charter School - The Performing Arts Conservatory of New York will supplement its publicly-available music lessons at the Renaissance Charter School by providing group classes in piano, guitar, and voice. Woodhaven Cultural & Historical Society - This project will give adults/seniors instructor-led painting classes focusing on local history and scenery. All artwork to be displayed in an exhibition during the spring. Christopher Ignacio - Co-Writers is a series of songwriting and performance workshops in New York for young POC with limited access to arts resources and education. Maria Sol Aramendi - El Co-op is a participatory project which engages with immigrant workers, creating a space to bring their narratives and practices to new audiences while informing and educating the community.